Grass provides a functional ground cover in yards and parks as well as guarding against soil erosion along roadways and waterways. Many homeowners plant new grass from seed. This method requires adequate time for the grass to germinate, sprout and mature. Sod provides a quicker alternative when establishing a lawn. Many homeowners want to avoid the extra work involved in removing existing lawns to install new sod. 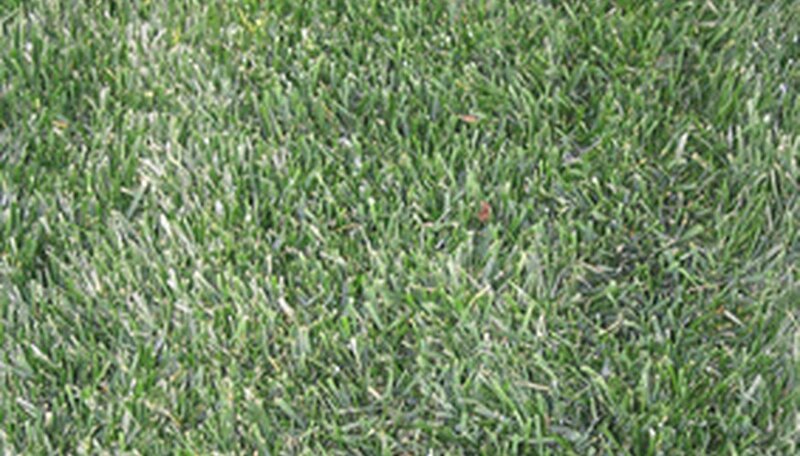 Sod grass requires soil contact in order to thrive. Plant your sod over an existing lawn, while still ensuring good sod to soil contact. Mow your existing lawn as short as possible to remove vegetation. Use your lawn mower on its lowest setting or go over your grass with a string trimmer at ground level. Rake up all grass clippings and cut vegetation from your site. Apply a broad-spectrum herbicide to your existing lawn to destroy weeds and grass in the area. Follow the manufacturer’s instructions for mixing and applying your herbicide. Perform this task on a calm day to avoid wind displacement. Till your existing lawn to break up thatch and loosen the soil. Go over the entire site two or three times with a rototiller. Toss out any large, exposed roots and rocks from your tilled soil. Haul in some topsoil, or have it delivered to your site. Apply at least a 2- to 3-inch layer of topsoil over your cultivated lawn. Incorporate this topsoil into the tilled grass with your rototiller. Use a rake to smooth the prepared surface for your sod installation. Dampen the prepared soil right before laying sections of new sod. Use a garden hose with a sprayer attachment and lightly moisten the surface area. Lay down one section of sod at a time while keeping remaining sections in a cool, shady area until ready for planting. Use a sod tamper to ensure good sod to soil contact after installing your new sod. Rent a tamper from your local rental store and follow the instructions for operating this piece of equipment. Water your new sod after planting. Apply approximately 1 inch of water every two or three days during the first few weeks. Water your sod early in the morning to avoid excess evaporation. After three or four weeks, reduce the frequency of watering to provide a thorough soaking every four to seven days.